If you’re looking for minimally invasive body contouring procedures at an affordable price, Sono Bello of Cleveland is the place for you! 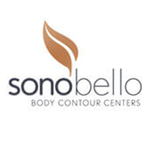 With over 40,000 procedures performed at over 20 locations across the nation, Sono Bello provides clients with easy and effective shaping methods to eliminate problem area fat. Sono Bello’s team of more than 50 specialized physicians use only the best and latest minimally invasive micro laser-assisted body contouring equipment to perform a myriad of non-invasive sculpting techniques on patients. The centers’ advanced technology instantly removes targeted fat, even fat resistant to diet and exercise, in problem areas like the abdomen, hips, thighs, neck and chest. Sono Bello’s monthly payment plans make treatment easy and affordable for patients with nearly any budget. If you or someone you know is interested in learning about Sono Bello of Cleveland and its procedures, please feel free to schedule a consultation or contact one of our representatives today!